Vacation rental villa. 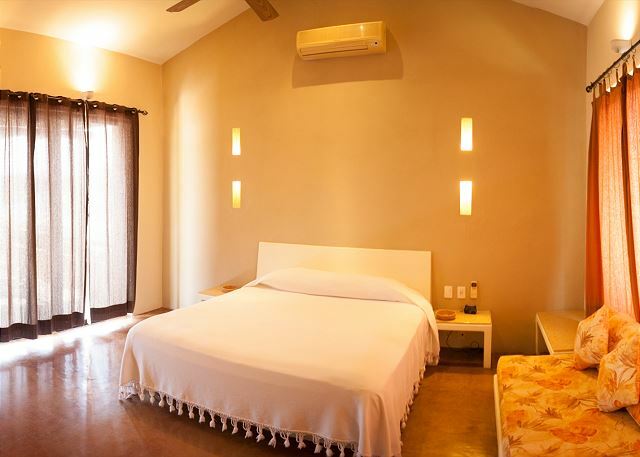 Sleeps 14, 4 bedrooms, 5 bathrooms. No pets allowed. 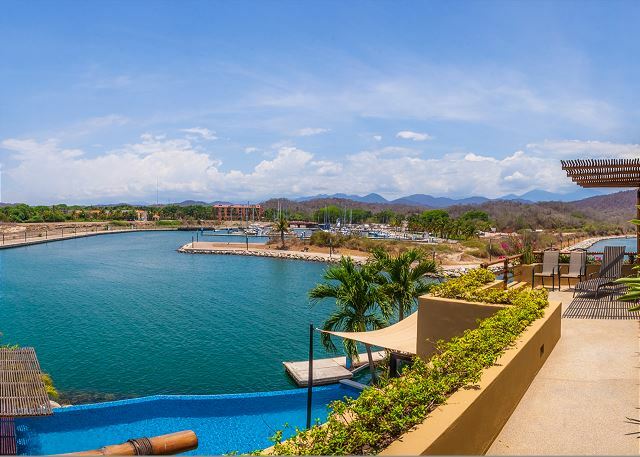 Perched next to Huatulco's prestigious yacht club, this property has everything you would look for in a vacation rental. Complete with a full time maid, large infinity pool overhanging the ocean, swim-up bar, roof-top terrace, beautiful open-air design, and more! This architectural delight is a boaters dream. 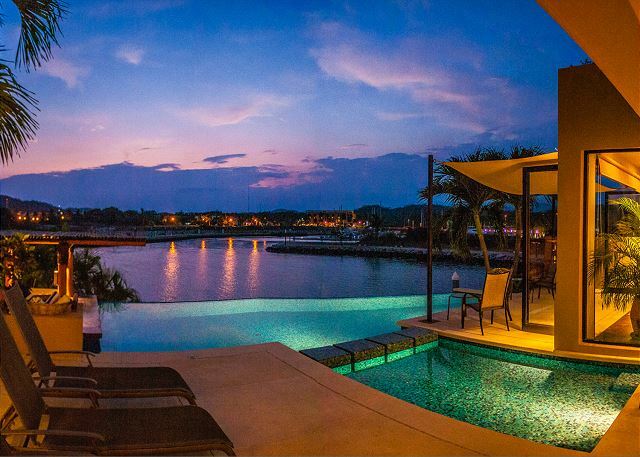 With a floating dock just off the back patio, fishing, sailing, jet skiing and much more are at your fingertips. 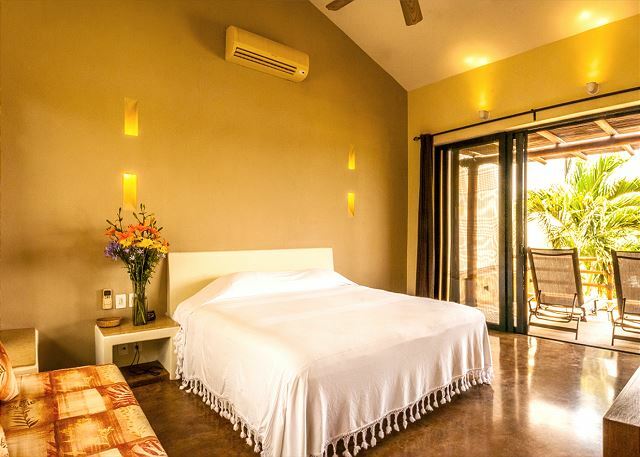 There is room for everyone in this spacious villa with 2 bedrooms featuring King size beds, one with 2 double beds and another bedroom with 3 double beds. Plenty of space in the rooms - one master even has a nice sitting area of its own! 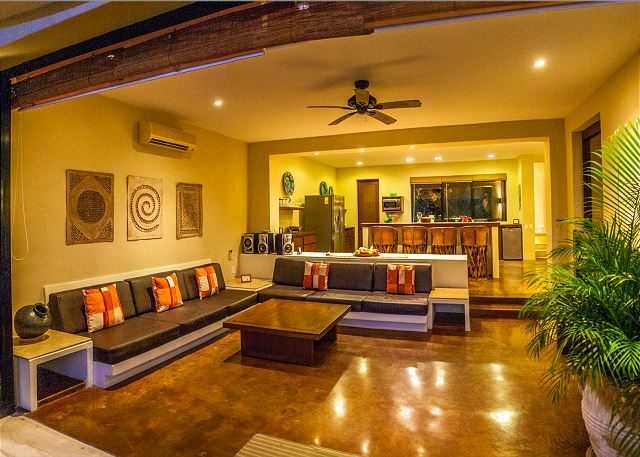 Lots of quiet spaces to "get-away" on the main floor too - sit by the pool, at the floating dock, by the outdoor bar, swim-up bar, indoor bar or just chill in the living room while enjoying the views. 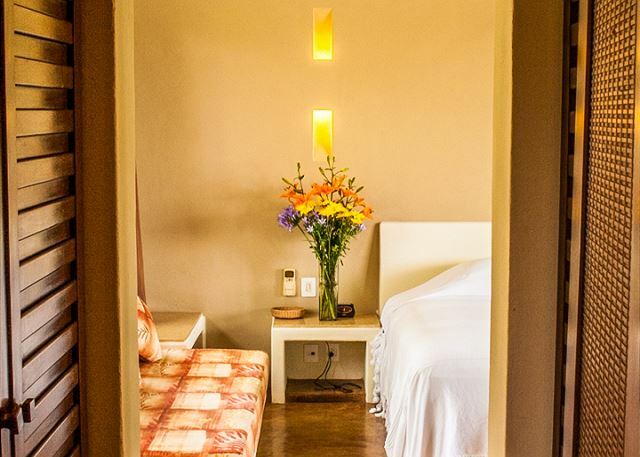 This villa was built to accommodate a large group of people and as such offers many different spots for people to find some peaceful moments alone (if that's what you're looking for). Otherwise, you can enjoy the large common areas that offer a nice open space for all. 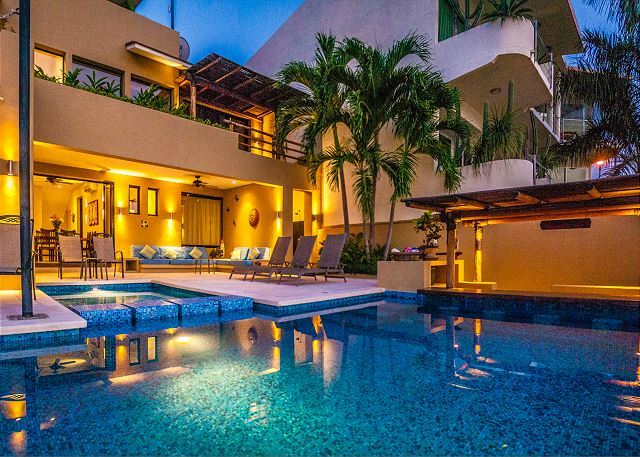 There is air conditioning throughout this villa. Entertain or relax on the rooftop patio! 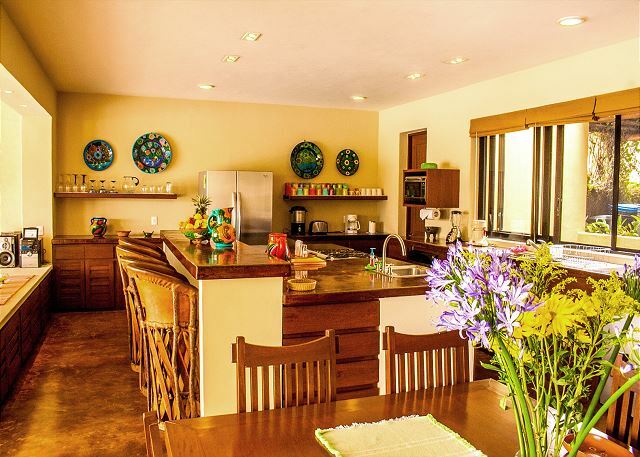 The main floor kitchen offers a beautiful open-concept feel and is a treat to use while preparing delicious Mexican cuisine. 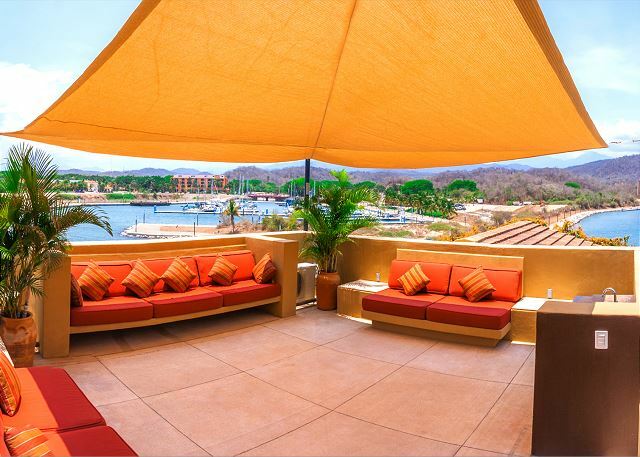 The amazing views of the marina and Chahué beach will make you never want to leave. But if you do...town, restaurants and nightlife are just a few minutes away. 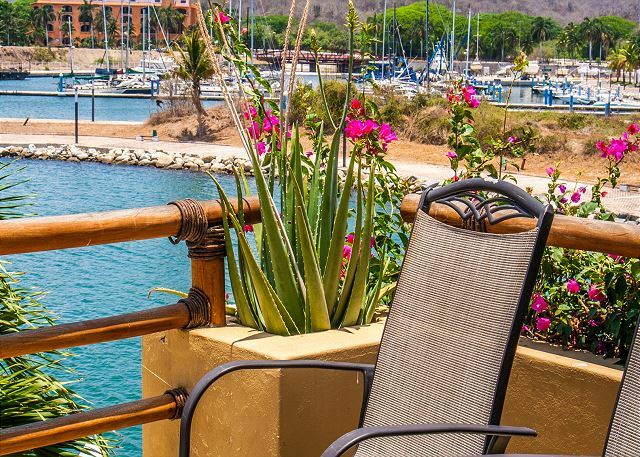 Observing the mega yachts and sailboats come in and out of the marina are just one of the many ways to pass your time at Casa Buena Vida. If you're looking to take your vacation to the next level, this outstanding property offers the unique experience of chartering a yacht and having it pick you up at the property's private dock! 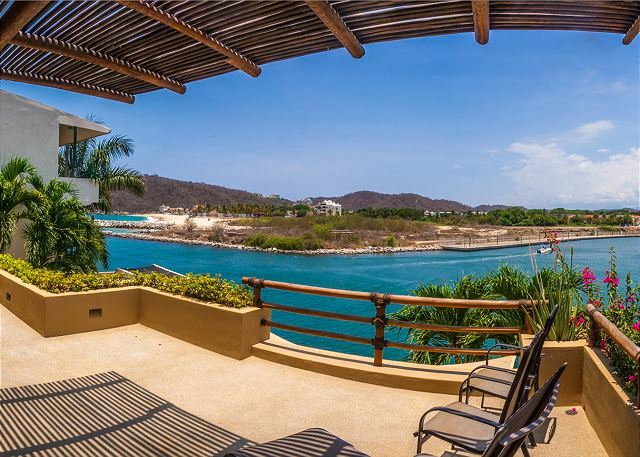 Spend the day on the ocean enjoying Huatulco's famous coastline before returning to your private villa to unwind poolside. This luxurious experience is sure to be one that you won't soon forget! Dear Les, Thank you for sharing your experience at Casa Buena Vida. 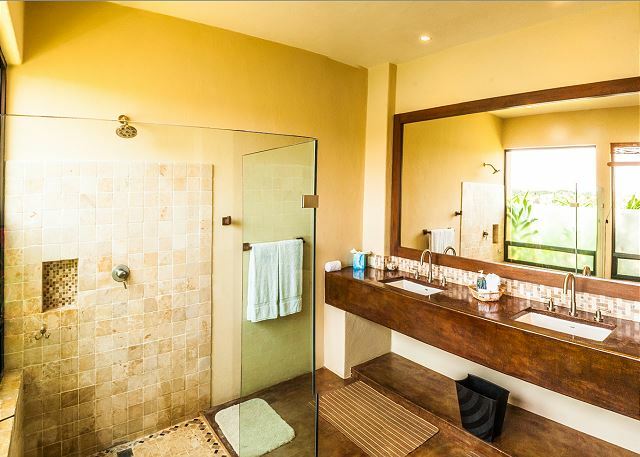 I am happy to know that your second time was a good or even better than your first stay at this amazing property. Ana Maria & Jose are always very attentive to the guests and work closely with the guests services team to provide the adequate assistance. 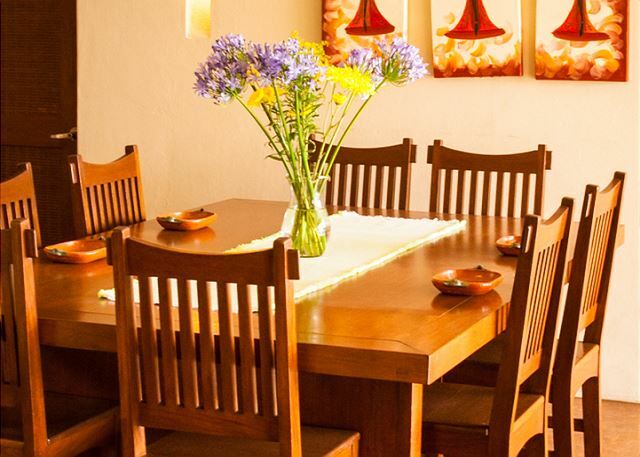 We work diligently to try and ensure that nothing interferes with our guests' experience. I am thrilled to know that you will be back next year, we will be ready to welcome your group once again! Sincerely, Cathy Bergamo & Your Friend at My Huatulco Vacation. All of the reviews are spot on! This home was perfect for our party of 9. We had plenty of apace to spread out to enjoy quiet time but also the perfect space to come together for dinner or drinks in the pool! Anna Maria and Jose were amazing all around...wonderful people but also great helps for whatever we needed. This was our dream vacation and the only thing that could have made it better would be a few extra weeks to spend there! The property management staff was amazing at attending to all of the details prior to our arrival and they checked in while we there there to ensure everything was perfect!! Don’t think twice about this location! Book it!! Thank you so much Janell for taking the time to share your experience at Casa Buena Vida. I am very happy to know that you enjoyed so much your vacation and made the most of it. Glad to know that the service provided by the staff of the property, Ana Maria & Jose and My Huatulco Vacation team has reached your expectations. It was a pleasure for us to welcome you, and we hope seeing you around in the future. Take care, Regards, Cathy Bergamo & Your Friends at My Huatulco Vacation. 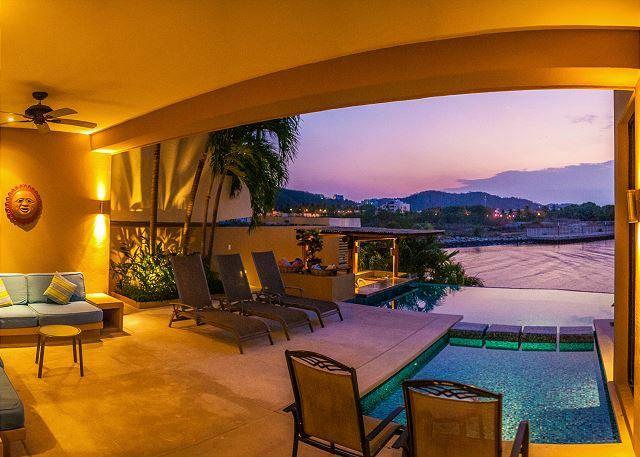 Huatulco is an absolutely amazing place, and to be able to stay in such a lovely home just puts it over the top. The house is beautiful and over looks Marina Chahue. The staff is so friendly and amazing and help keep the house in meticulous condition. I've stayed in this house twice and look forward to my next visit! Highly recommended! From the moment we got off the plane until we were flying home our experience was amazing! House is very well laid out to accommodate several couples. The staff are very professional and accommodating. There is a very cute dog next door, but it often howled. Dear Bob, thank you for taking the time to share your experience at Casa Buena Vida. Glad to know that one more time the attention of Ana & Jose have been appreciated. looking forward to see you again next year. Take care ! Regards, Cathy Bergamo & Your Friends at My Huatulco Vacation. 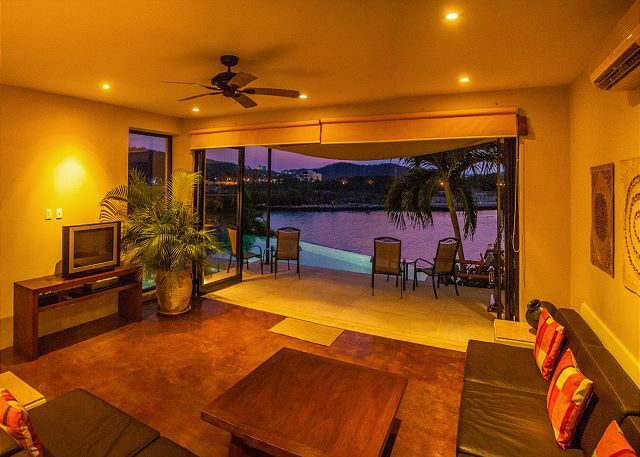 House is extremely well laid out for a Huatulco vacation. All the amenities you need, including full time help, are provided. The staff was exceptional. There were only two shortcomings: The internet was intermittent and did not reach the second floor bedrooms; there is a dog next dog that howls a lot. This was our first time renting a house rather than staying in an all inclusive so I was worried how it would go. I should not have worried. The house is beautiful - with lots of room for everyone. There are multiple decks and levels that allow for different meeting places if guests want to spend time apart or together. 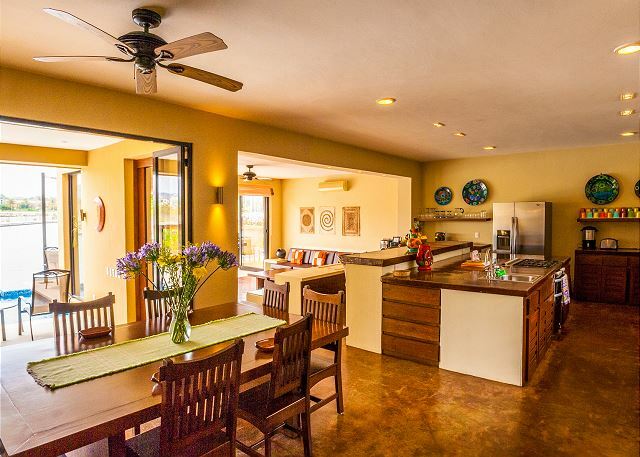 The house has every amenity you can imagine (a pump to blow up pool floaties, every pot and pan you could possible need, dvds, books, a cooler, umbrella to take to the beach, board games…). The house has an excellent location as it overlooks the water, is private, but is only a ten minute walk to the supermarket and restaurants. Ana Maria and Jose are wonderful! We will return next year. This place was fantastic, it met all our needs and then some. Anna Marie and Jose made it very much extra special. What gems those two are. We already booked to go back next year. I can say overall it was an amazing experience. The booking process was simple and easy, very detailed contract to read and sign. Casa Buena was incredible just as the pictures showed. Quiet and beautiful area to relax and enjoy. Weather was just perfect to enjoy the beautiful beaches and most definitely the pool. What can I say about Anna Maria she’s such an amazing person, very attentive and kind. She made my stay even more enjoyable. Made me feel as if I was at home. Jose was also was attentive and ready for us whenever we arrrive with groceries. Thank you to the owners for having such a pleasant home it’s sad they are selling it. Thank you to the team whom makes these stays possible. I would definitely do this 100 tines again! We had a great time in Huatulco and staying in Casa Buena Vida was awesome. The house is beautiful and it accommodated all 14 of us just fine. The house is clean, the pool is great. We could not get the kids out of the pool. Ana (the wonderful lady who takes care of the property during the day) is absolutely fantastic! 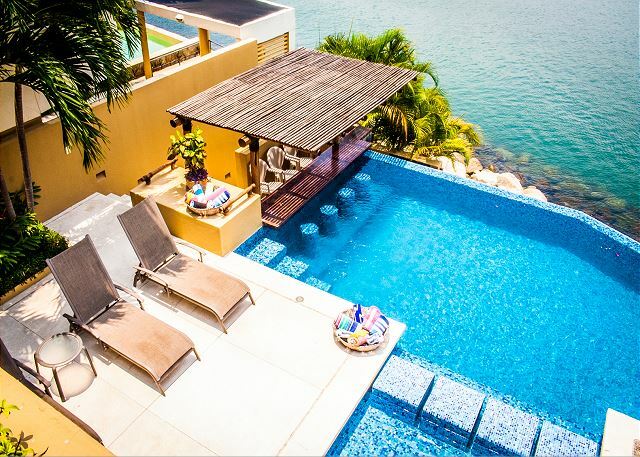 I would definitely recommend to anyone to stay in Casa Buena Vida. We loved it so much that we are planning our next vacation and hope that the house is available again. Also Claudia and Cathy were great in working with us for our arrival and departure and just in general making sure our stay their was great. Thank you again CASA BUENA VIDA!! My friends and I had an amazing time at Casa Buena Vida. Anna Maria (the maid) took great care of us and made the experience incredible. There was plenty of room, the pool was fantastic, and the kitchen was well stocked. Close proximity to the city, beach, and supermarket. I look forward to staying here again. 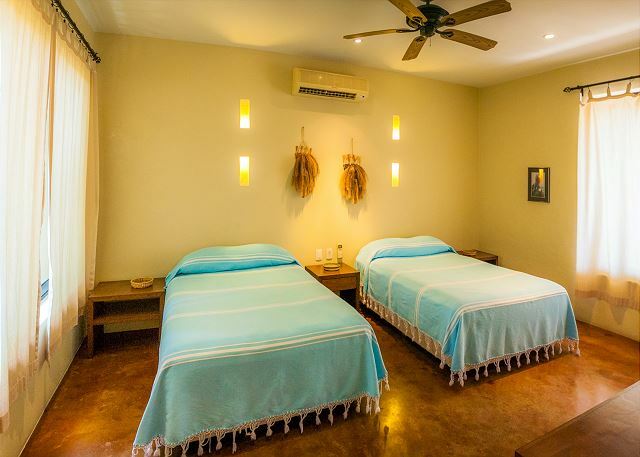 Dear Daniel, thank you for taking the time to share your experience at Casa Buena Vida, I am glad to know that you enjoyed your stay, the property and its staff reached your expectations. We will be happy to host you agina in the future. Regards, Cathy Bergamo & Your Friends at My Huatulco Vacation. This is the best place you can stay. We came to Mexico for a wedding with our 3 daughters and their families. Each family had their own room and the bathroom. The kids had the best time being in the pool whenever they wanted. The parents could relax. We all said "best vacation ever"! The staff are wonderful people. They do not speak English but we had Spanish speaking people in our party so it was not a problem. You will have to rent a car to get to this location and to get food at the grocery store. We all said that we will be back! 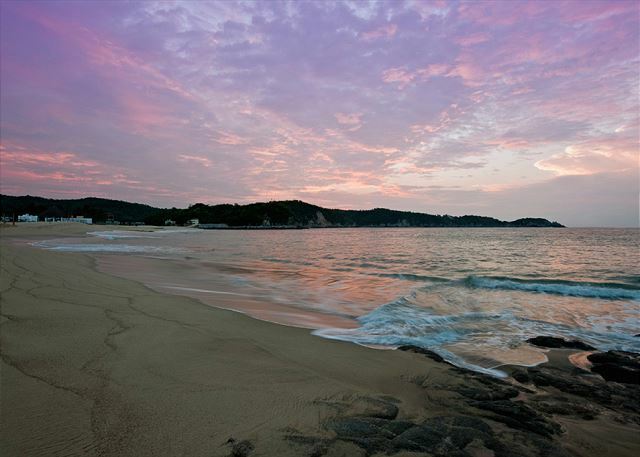 Just returned from a vacation in Mexico, visiting Huatulco for the first time. We stayed in Casa Buena Vida. 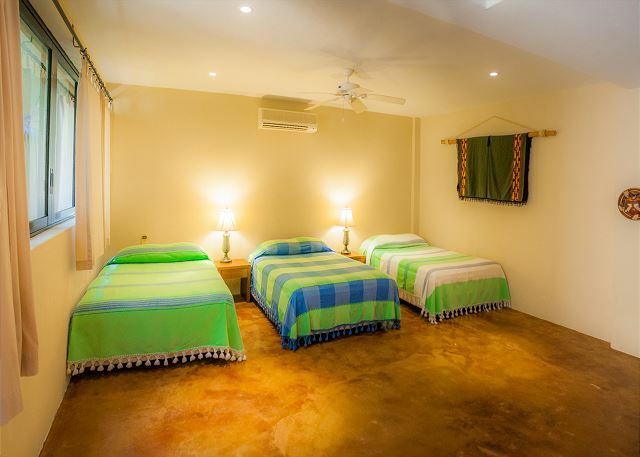 The property was very comfortable, well laid out, clean and has a staff that is wonderful. The manager of the property was very helpful when we were setting up our arrangements and checking in with us while we were there. Would definitely recommend the property and management company. We arrived to find the driver we arranged through the rental waiting for us with a sign. A representative was waiting at the house to check us in and this took no time at all. We decided to have a chef prepare dinner for us the first night and it although a bit pricey, it was absolutely delicious (we had the Grill night with Margarita add-on) and we had enough leftover for dinner one night later in the week. The house was just as it looked in the pictures. It was perfect for us as we were two couples and there are two identical master suites upstairs. The only disappointment we had was we thought the house would be within walking distance to more things and we ended up taking a taxi most of the time, especially at night because the lighting on the street and marina was not as bright as we would have liked for walking at night. The house is near a marina which has 3 restaurants. The walk to the marina was fine during the day, but we still took a taxi back at night due to the limited lighting. The house is in a neighborhood that is not complete so there are vacant lots with no lighting. We felt perfectly safe, but decided not to walk at night due to the dark spots. Anna Marie and Jose did an outstanding job keeping the house and the grounds up and Anna even did our laundry up for us a couple of times. She could have cooked for us as well, but we usually had our breakfast before she arrived. She did a great job cleaning up though! We also booked a couple of excursions through the rental company. We did a sunset cruise with a snorkel add-on and a trip to the Waterfalls. Both were excellent and it was nice that they were private. One note, although the house was spotlessly clean, it is in a warm climate and we kept it open to the outside almost all of the time with no screens giving bugs (ants/spiders) the chance to come into the house. We would absolutely stay in this house again! 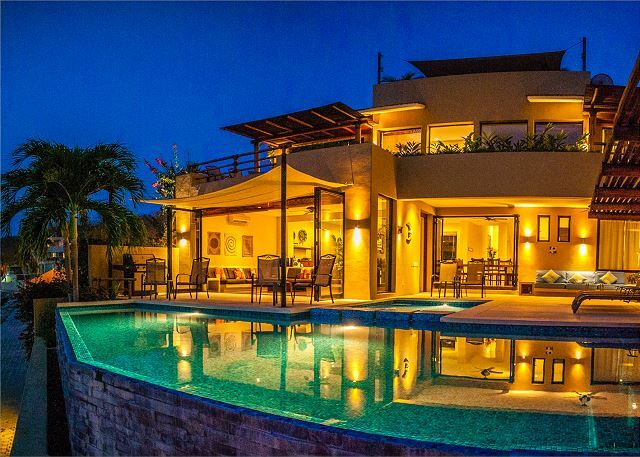 This was our fourth time to Huatulco, but the first time that we rented a villa rather than stay in a hotel. It was the best decision we've made. The property is absolutely stunning. As gorgeous as all of the pictures on the website are, they do not do the villa justice. 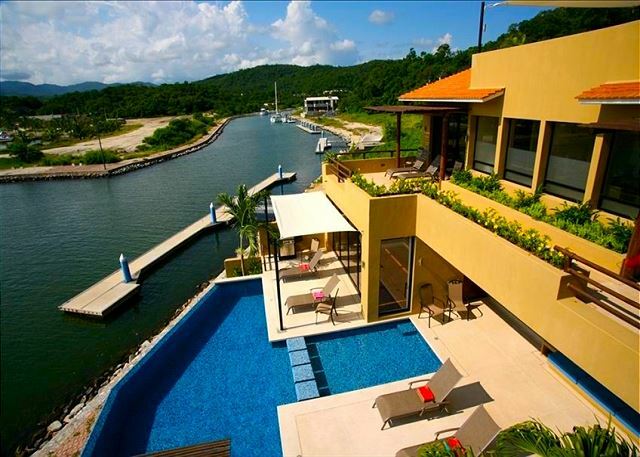 The views of Marina Chahue are great from every level of the house - and from in the infinity pool. The restaurants and shops at the Marina are a quick walk away, and you can walk to Santa Cruz in about 20 minutes. We can't say enough about the staff. At check in we were shown how to operate everything in the house. Gabriela then made sure we had contact for an english speaking taxi driver. Getting to and from La Crucecita or Santa Cruz was a quick phone call away. Ana Maria and Jose are the best in house staff imaginable. Anything that we needed was provided and things we didn't even think about were taken care of. The only complaint was that one week was much too short for all that Casa Buena Vida has to offer. We can't wait to come back!! My wife and I rented this home for 3 weeks in February 2017. During our stay we had numberous guests, including my daughter and her husband and 6 of their friends! The house was always comfortable, spacious and immaculately clean. The location is situated on level, well maintained roads and trails for pleasant walking. The daily maid service is a real treat and unexpected bonus, along with daily pool and property maintenance. A great home for larger groups with room to spare. Everything was perfect! The property manager was very helpful, the people working at the house were very friendly and attentive. The house was spotless. Had and amazing time at the house. The house is pristine and beautiful but what really blew our minds away was the incredible people working at the house. Jose, Maria Isabel and Anita are the kindest people ever!